You are at:Home»P&O Cruises»Winter Sun Without the Flights!! Winter Sun Without the Flights!! P&O Cruises have announced that from next year, they will be offering a range of cruises sailing from Southampton, visiting sunny destinations such as Morocco and the Caribbean. Until now, it has been almost impossible for us Brits to escape the horrible winter weather without the hassle of flying and airports (NOBODY likes airports). P&O are changing this however, with year round cruises to warm destinations so that you can escape the rain, wind and snow whenever you feel like it. The cruise line carried out a wealth of research and found that many potential guests would love the chance to sail away to a sunny destination in winter, but don’t want to deal with the flights and travel aspect of the cruise. They wanted something more instant, to step aboard the ship and forget all their stresses straight away. 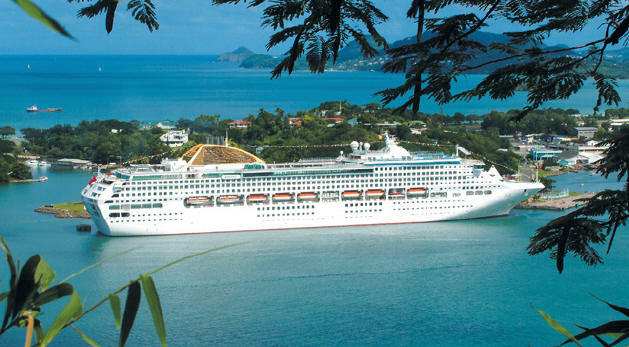 The cruises will take place on board the Oceana, and they will be offering cruises to a variety of destinations for all ages. From March 2011, to March 2012, you will be able to escape the bitter cold of the UK (and that’s just the summer!) and swap it for Pina Coladas in the Caribbean sunshine. The managing director of P&O has commented on the move, saying that their passengers can now be on board the ship within half an hour of arriving at the port, saving them all of those hours of waiting around in airports, buying things they don’t really need. It also means that they won’t have to deal with the luggage restrictions which most airlines impose, so they are free to bring as many bags as they can fit into their cabin!